It is important that home buyers are aware of plans that apply to new neighbourhoods because these plans guide how the area will develop in the future. If you are purchasing in a neighbourhood that is still developing, there may be land next to or near your new home that is undeveloped. The plans in effect for every City neighbourhood provides information on the type of development that may occur in those areas. By understanding what is planned, you will know what you can expect to be developed in your neighbourhood. All developing communities in Edmonton have both an Area Structure Plan (ASP) and Neighbourhood Structure Plan (NSP), which dictate where residential, commercial, institutional and recreational development will be located. The plans also estimate the number of people who are expected to live in the area and how development will be staged over time. Step 1 : Download the Neighbourhood Structure Plan (NSP) Land Use Guide. This guide explains an ASP and NSP, and provides examples of land use categories found on each land use map legend. Step 2 : Find your Neighbourhood's Land Use Plan by selecting your Neighbourhood. This will take you to Your Neighbourhood Page. From there, click the NSP Land Use Map under the Neighbourhood Plans title. 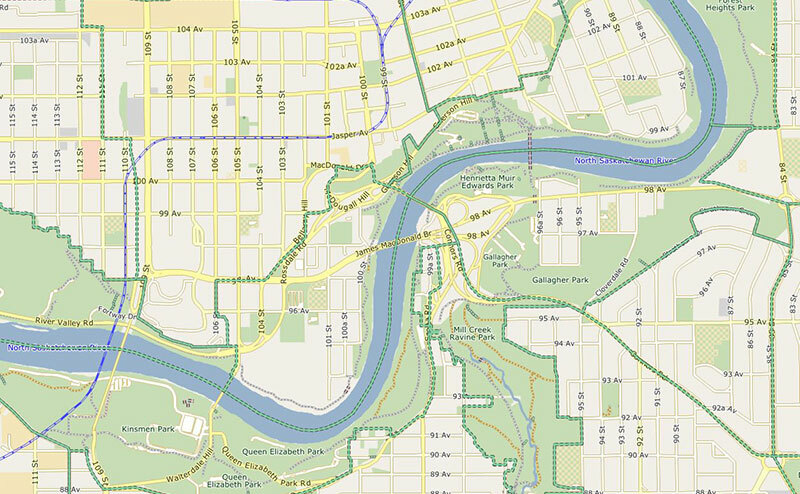 The City of Edmonton takes reasonable measures to provide accurate information, but the City of Edmonton does not warrant the completeness or accuracy of the information presented. The content provided is provided in good faith on an "as is" basis and is current at the time of posting for use on the site. The City of Edmonton does not assume responsibility nor accept any liability arising from any use of the information presented. It should not be relied on as a substitution for appropriate legal, technical and business advice. Contact a city planner with questions about development in your community. Definitions of terms within the Area Structure Plan (ASP) and Neighbourhood Structure Plan (NSP).